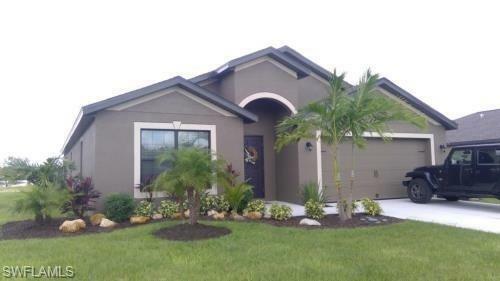 Home located on lake in gated community of Shadow Lakes. Built in 2017 w/ 1851 sq. ft. living and 2474 total area. 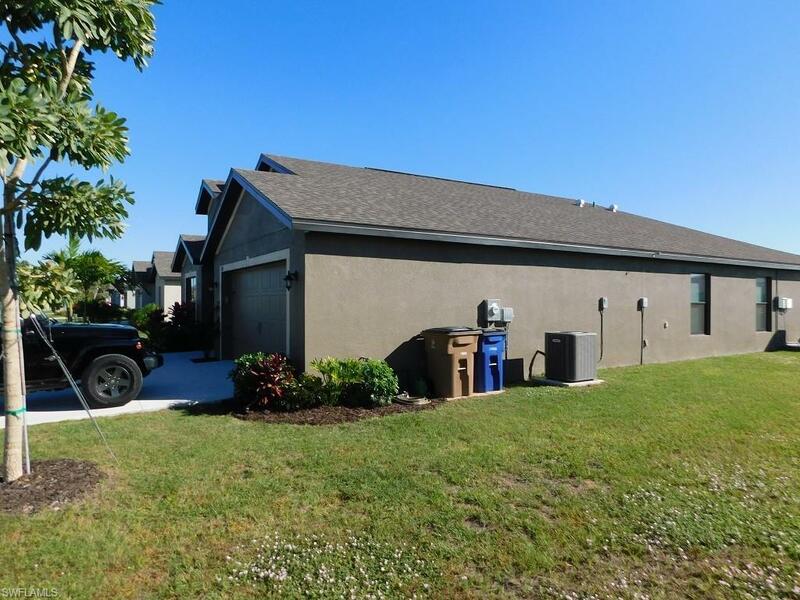 Features include: 4 bedroom/2 full baths, heated salt water pool and spa with custom screen enclosure, kitchen includes energy efficient appliances (including washer, dryer), custom wood cabinets, manual hurricane shutters, automatic garage door operator, ceiling fans, window coverings, manually timed sprinkler system, in wall pest prevention (company serviced). Community offers children's play ground area. 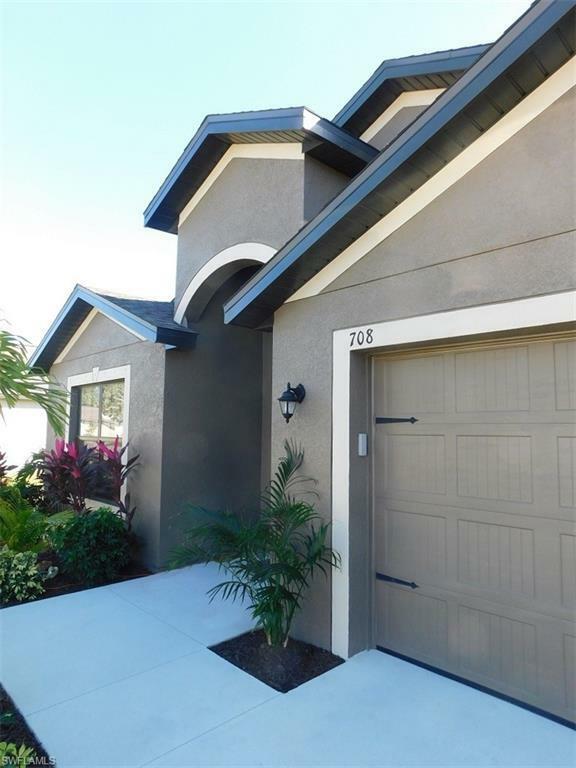 Community located convenient to shopping in Lehigh Acres or Fort Myers or travel to east coast. 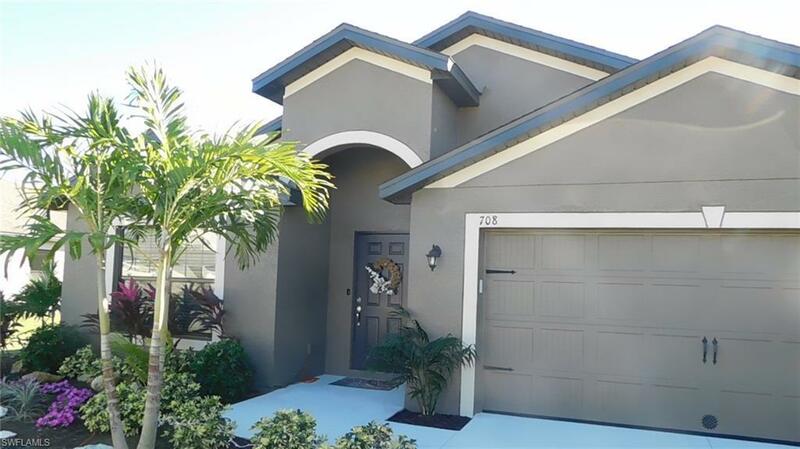 Listing courtesy of Maria Musler of Century 21 Sunbelt Realty, Inc.